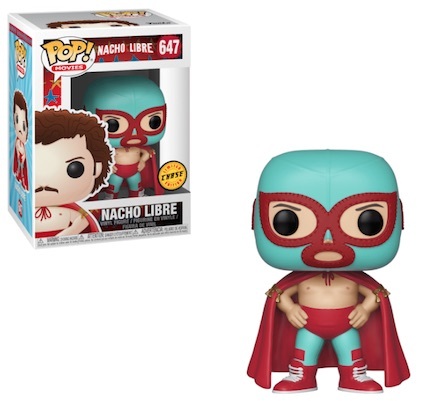 Product DetailsThe classic tale of the monastery cook who becomes a famous luchador, Funko Pop Nacho Libre features Jack Black as the masked Mexican wrestler. The 2006 film highlights Ignacio (a.k.a. Nacho Libre) on his journey to help the orphans at his monastery. 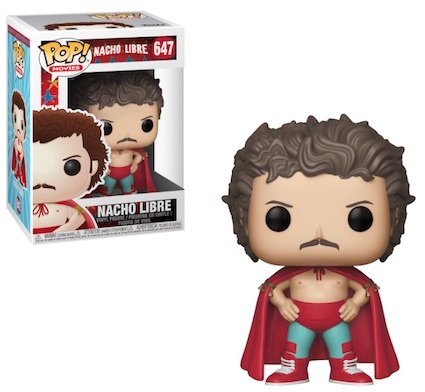 The main vinyl figure features a shirtless Nacho Libre in his wrestling gear, including blue tights, red shoes and a red cape. Shop Nacho Libre DVDs on Amazon. There is also a limited chase variant that protects Nacho's secret identity with a blue-and-red mask. These Funko Pop Nacho Libre figures are randomly found among the sealed cases in place of the base figure. Normally, they average 1:6 boxes. Collectors can even find them sitting out with the base figures, but the chase variants usually don't last very long in the wild. 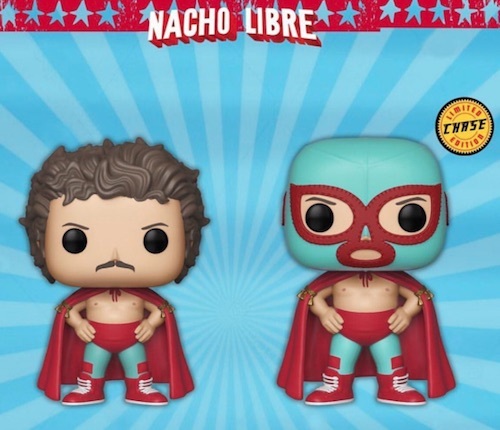 Check back for more Nacho Libre Pop details and let us know if you spot any other figures from the set. Click on the links to shop for specific figures on Amazon or eBay.